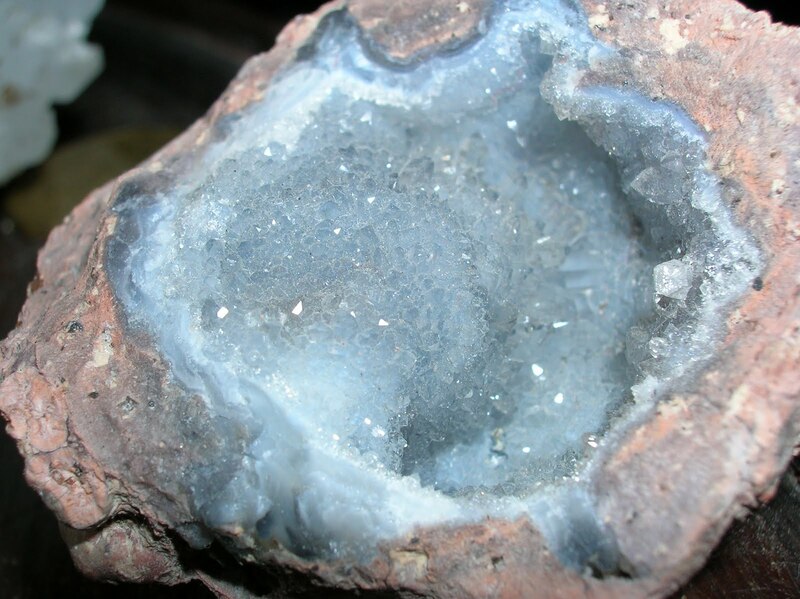 An opened geode. The interior is covered in small crystals called druzy. 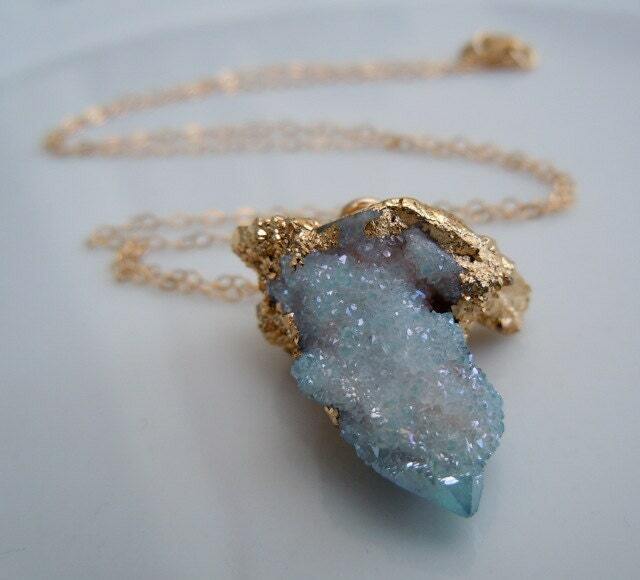 Druzy. 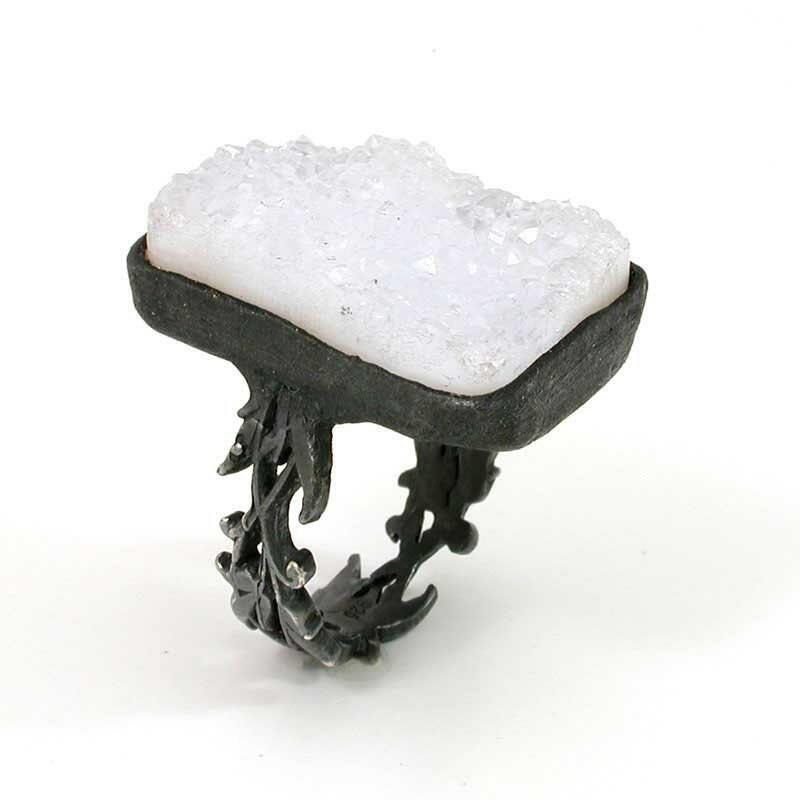 It's sort of a catch-all term for small crystals that form in a void on a mineral, whether it be in a geode, a crack or fissure (called a vug) or an open surface. 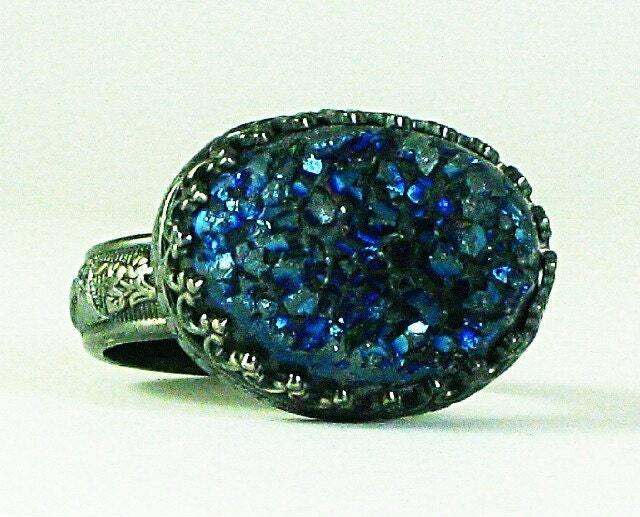 Druzy are most commonly found on quartz but may be located on a number of minerals. 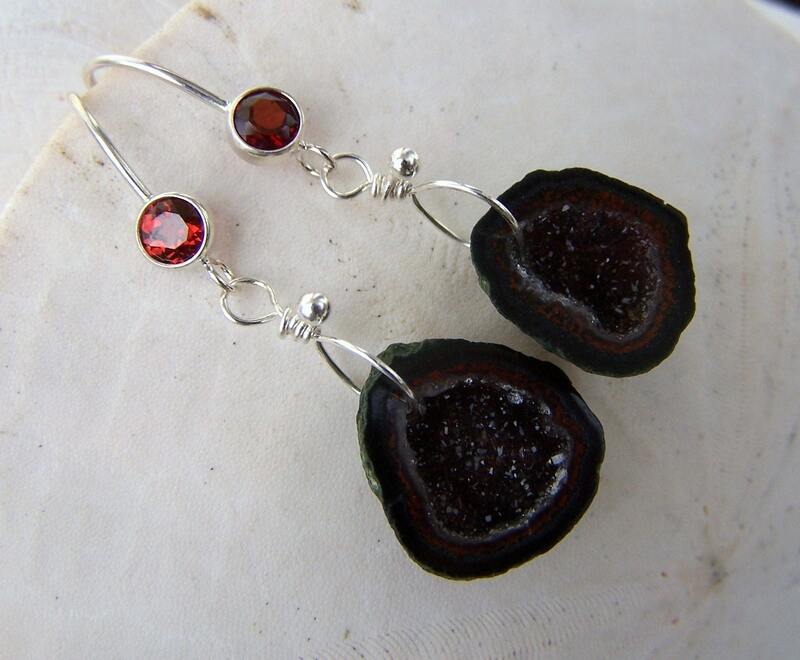 The term, alternately spelled drusy, is from the German "druse," meaning geode. 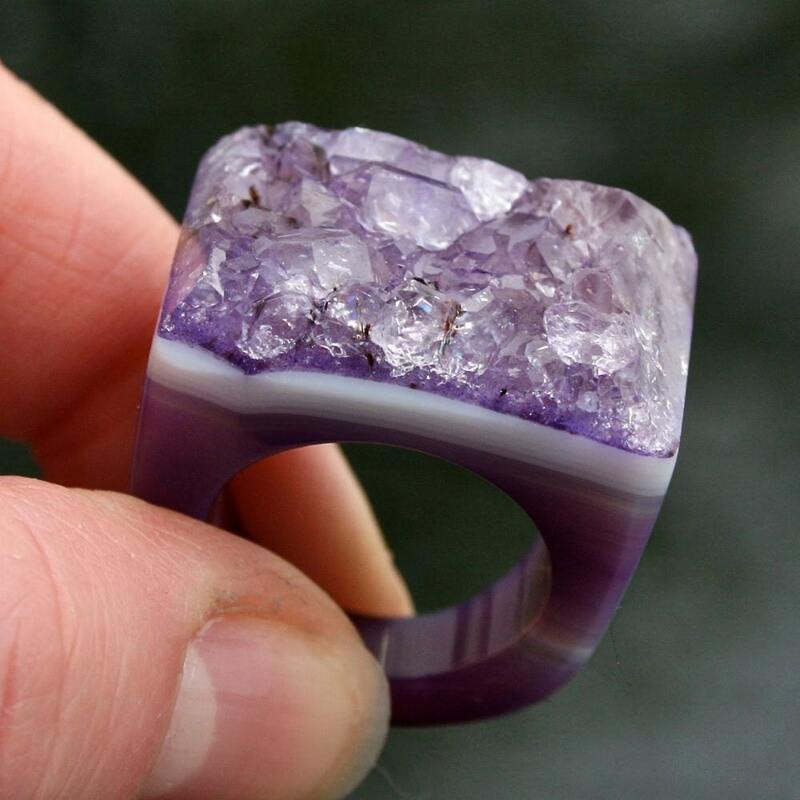 The stone can be dyed to enhance the hue and is often coated in a clear material to protect the delicate crystals. 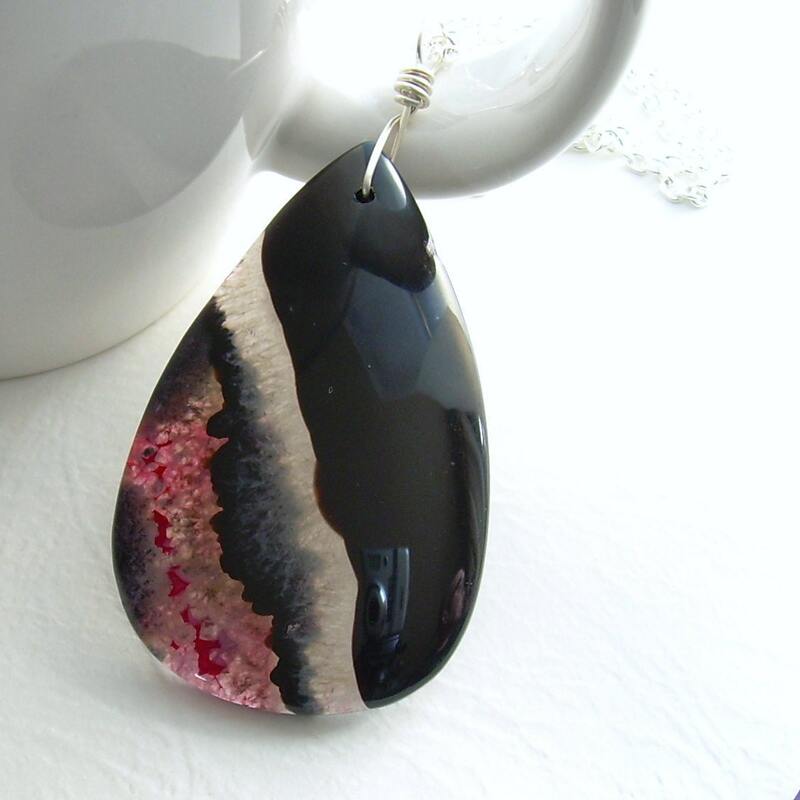 And when polished, the small crystals can be absolutely stunning. 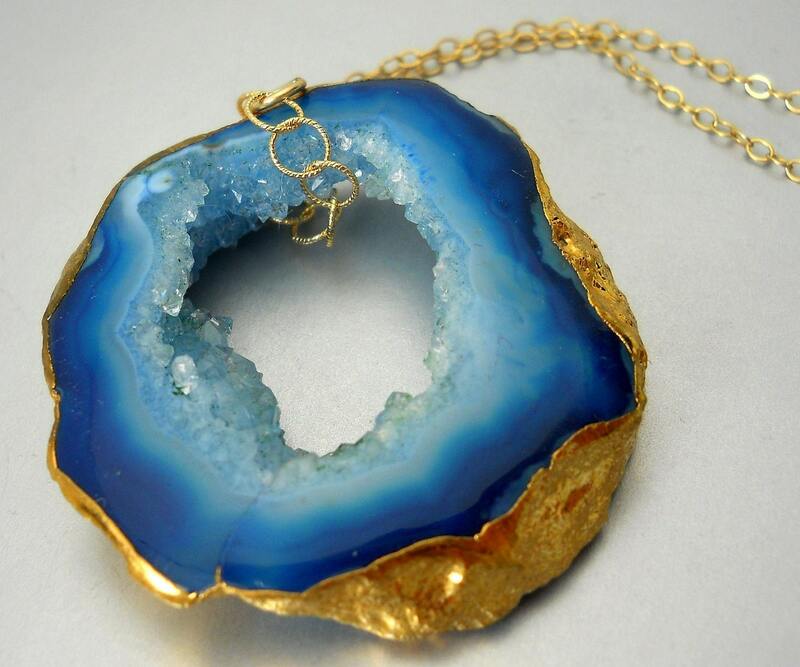 Check out some of Etsy's most beautiful druzy jewelry after the jump! such awesome pieces here! thank you so much for featuring one of my pendants! This summer we found a pair of purple ones that had been cut into bookends and hand-painted with dragons at an art show at a convention. My parents got them for my birthday since I'm such a reader, especially of fantasy, and my favorite color is purple! There are SO many cool things to be done with them. 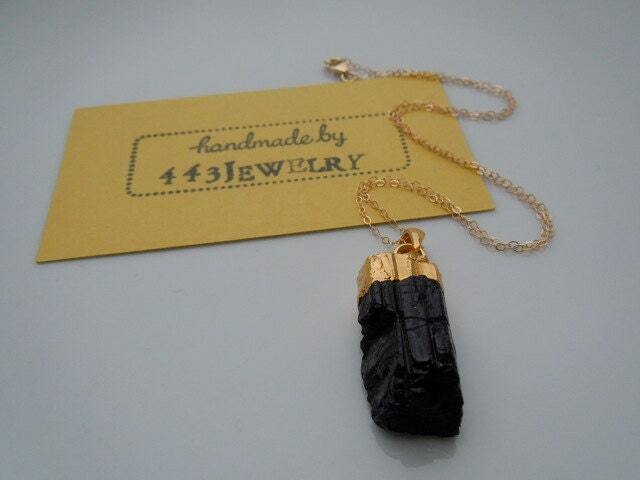 @cindylouwho2: I had to own that pendant, it is so gorgeous! hahaha - I just came here to thank you all again because the pendant sold! & now I see how that happened. Thank you so much! Anna, That sounds so pretty and like the perfect bookends for a fantasy collection! Cindy and Laurie, MUAHAHAHAHAH! My evil plan is working. 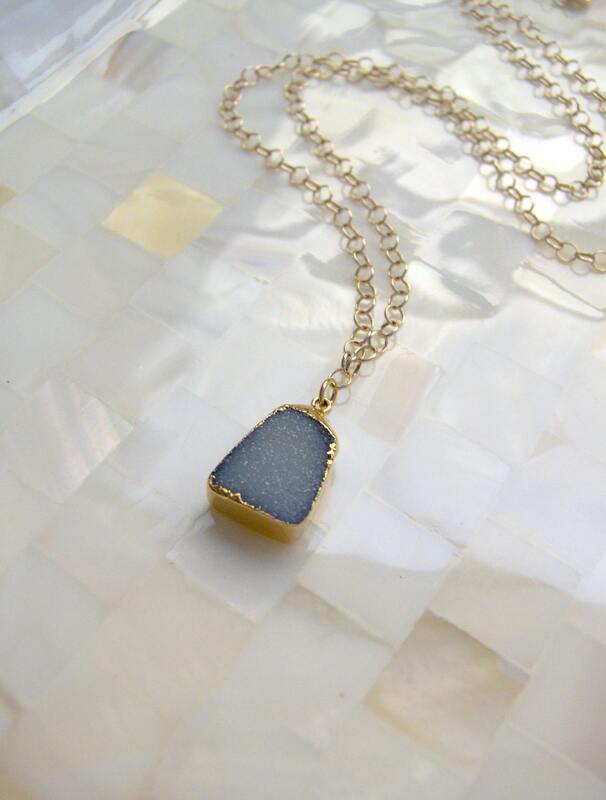 So glad my hours wasted drooling over druzy jewelry on Etsy haven't gone to waste. At least two people benefited! @cindylouwho2: girl, you are not kidding. Pretty soon, I'll be living in a cardboard box under an overpass - but I'll look FABULOUS with all my jewelry! Great post! Thank you for including my ring.